Designation: Student of Antalya Akdeniz University Health Sciences, Faculty Deparment of Gerontology and Eskisehir Anadolu University Social Work. Citation: Mozoglu FN (2018) Gerontology and Aging in Turkey. Sch J Appl Sci Res. Vol: 1, Issu: 7 (61-62). Copyright: © 2018 Mozoglu FN. This is an open-access article distributed under the terms of the Creative Commons Attribution License, which permits unrestricted use, distribution, and reproduction in any medium, provided the original author and source are credited. Short Communication Officially the Republic of Turkey; Türkiye, Turkie. The Republic of Turkey Language is Turkish. Turkey is a contiguous transcontinental country, Asia with Europe. The Republic of Turkey is aging like the rest of the world. Turkey is about 80 million population and elderly statistics of the population constitutes about 9% . The elderly population, which was 5 million 891 thousand 694 people in 2013, increased by 17 percent in the last 5 years and last year was 6 million 895 thousand 385 people. The proportion of the elderly population in the total population increased from 7.7 percent in 2013 to 8.5 percent last year . Turkey’s first Gerontology department at Antalya Akdeniz University was founded in 2006. Gerontology training is offered at three universities in Istanbul Cerrahpasa University, Eastern Mediterranean University and Antalya Akdeniz University. In our country, geriatrics disciplines or units were established in the 1980s with the Cerrahpaşa Medical Faculty and began to spread in other faculties since the mid-1990s . Turkey Gerontology Atlas (Gero Atlas) as the product of a working Professor Dr. İsmail Tufan held with the initiative of ‘Old University’ that Turkey’s first Senior University. Open for free and free for university students over 60 years of training lasts 4 years. Elderly and Gerontology students are doing projects together. 4 years of education, medicine, law, art, sports, archeology, gastronomy, agriculture, technology courses are held in many areas (Figure 1). Gerontology and aging in Turkey. Figure 1: Gerontology and aging in Turkey. This project, carried out since 2000 and is expected to be completed in 2023, Turkey Gerontology Atlas (Gero Atlas) is structured on the basis of data obtained from research. 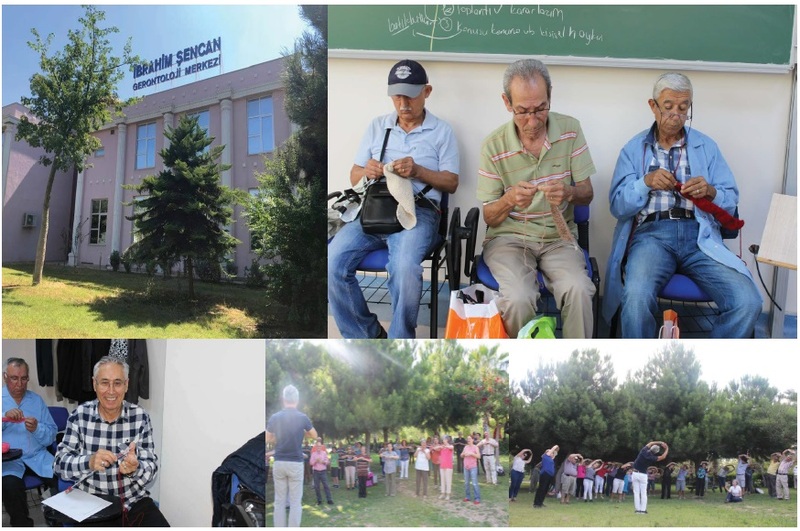 60+ Tazelenme University, the creation of a new perception of the elderly in Turkey; specific to Turkey, an old university aims to develop a model that will set an example in the world . On the campus of 60+ Tazelenme University, it is ensured that lifelong learning is realized through theoretical courses, while on the other hand practical lessons allow students to discover their talents. The aim of the training is to meet the young generations studying at the campuses in the same environment as the 60+ Tazelenme University students and to benefit from their knowledge and experiences. The main purpose of these studies is to encourage the lifelong learning process. There are two reasons why men are obligatory for knitting and learning about construction works: There are two reasons to meet their needs without needing anyone and the two lobes of the brain in the mathematics of sweaters are protected from being caught up in dementia . The Ministry of Family, Labor and Social Services tries to facilitate the lives of the elderly with economic, socio-cultural support, housing and care services in Turkey. The studies on social care insurance, qualified staff and old-age policies are ongoing. Day care services in 46 cities provide services for dementia patients. It is aimed to provide geronto psychological support not only for elderly individuals but also for elderly individuals and their families. In addition, elderly care centers, elderly homes, Alzheimer’s and Parkinson’s centers, nursing homes, elderly-friendly municipalities, elderly tourism projects in Turkey at present.